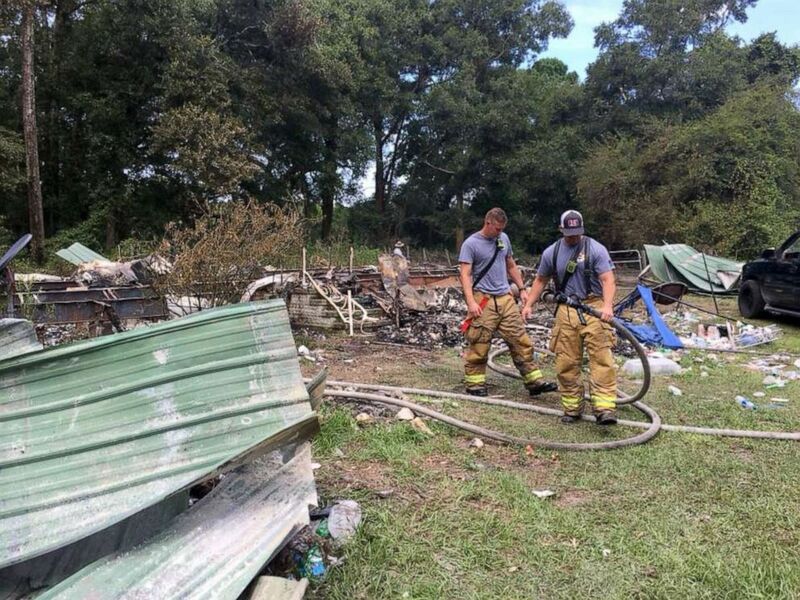 A Florida couple's death was ruled a homicide on Thursday, nearly eight months after firefighters discovered their remains at the scene of their "burned to the ground" mobile home, authorities said. 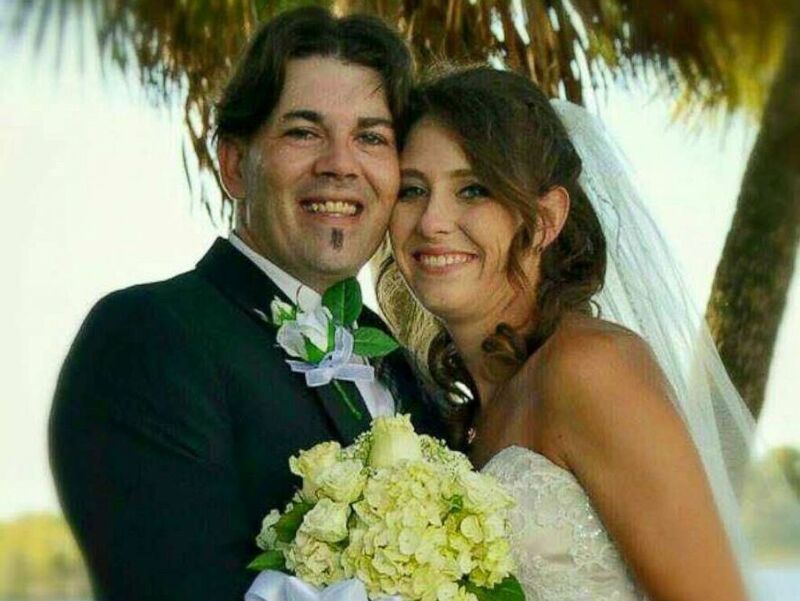 Robert Cooper, 37, and his 29-year-old wife, Ariel Prim, were found dead in their burned mobile home in Ocala, Florida, located about 80 miles north of Orlando, last summer, according to the Marion County Sheriff's Office. Firefighters responded to the scene on July 28, 2018, after a neighbor reported that the house was “burnt to the ground” and the couple's vehicle was still in the driveway, fire officials said. Robert Lee Cooper and Ariel Vanessa Prim are pictured in their wedding photo. First responders arrived on the scene at 7:35 a.m. that morning and had to force entry into two locked gates to the property, the Marion County Fire Rescue said in a statement. "Firefighters found the structure burned to the ground and found the deceased’s remains," the statement said. "There are three horses and one goat on scene. Marion County Animal control is caring for the animals." It took detectives three months to positively identify their bodies and their deaths were ruled "suspicious" in December, according to the Marion County Sheriff's Office. 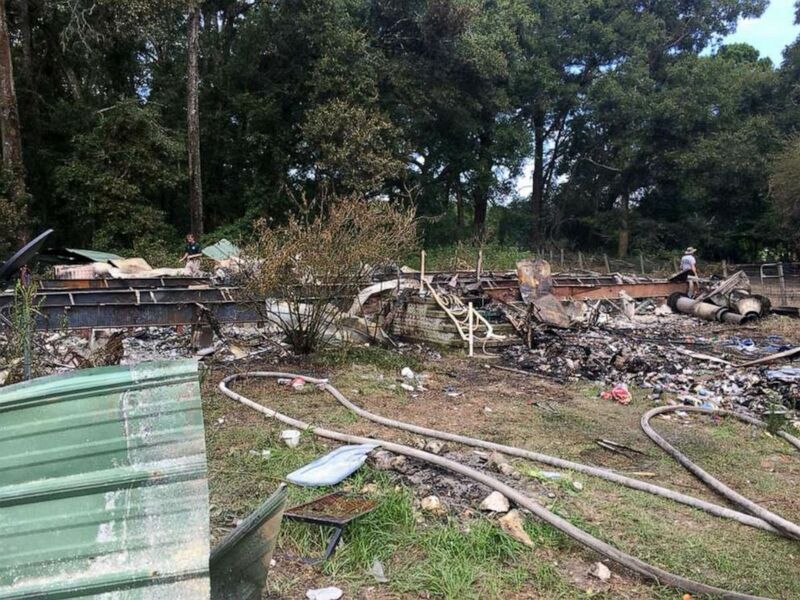 The bodies of Robert Cooper and his wife Ariel Prim were discovered at the scene of a mobile home fire on July 28, 2018. "In the months following the incident, MCSO Major Crimes detectives conducted a thorough investigation into the deaths and finally received the DNA results confirming the remains to be Cooper’s and Prim’s on Wednesday, December 5, 2018," the sheriff's office said in a December statement. "The State Fire Marshal has conducted an independent investigation into the cause of the fire, and the cause has not yet been determined." The medical examiner’s office had initially ruled their deaths to be of "undetermined causes," but the office issued an update on Thursday, calling the case a homicide. Police have not released any details about the possible causes of death. Officials are offering a reward of up to $5,000 for information leading to an arrest. "Detectives are now asking for the public’s help in revealing any information that may bring some clarity to the suspicious circumstances surrounding their deaths," the sheriff's office said.